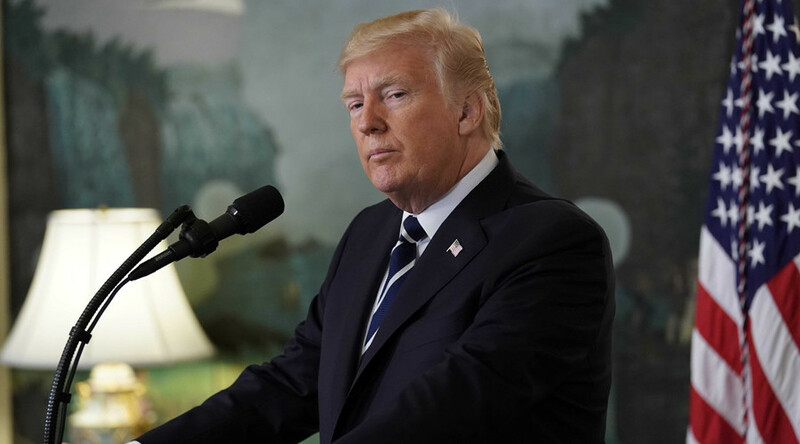 Washington – US President Donald Trump said on Monday that a total termination of the Iran nuclear deal was a very real possibility. “We’ll see what happens,” the president concluded. The president leaves a 60-day period for Congress to promote implementation of the agreement and address the flaws in the nuclear deal to ensure that Iran is completely prevented from acquiring nuclear weapons or developing intercontinental ballistic missiles and making all restrictions on Iran’s nuclear activity under the law. Sen. Bob Corker, chairman of the Senate Foreign Relations Committee and Republican Sen. Tom Cotton are leading efforts to review the nuclear deal and automatically reinstate sanctions if Iran breaches a number of red lines that were amended. Sixty votes are required to pass the amendments desired by the Trump administration, which means that the new legislation will need all Republican votes in the Senate (52 votes) and eight votes from Democrat members. “We are working with the offices of members of Congress, whether in the Republican or the Democratic side, to reach a consensus to pass the legislation,” a senior aide to the office of Senator Tom Cotton said. He noted that the new amendments would take into account Iran’s ballistic missile tests and its support for terrorist groups in the region. Meanwhile, a Republican lawmaker urged Trump to block a multibillion-dollar deal between Boeing and Iran Air. Illinois Congressman Peter Roskam wrote in a letter to Trump Friday that while President Barack Obama’s administration lifted its sanctions on Iran Air and permitted commercial jet sales to Iran under the nuclear deal, the airline has not stopped its illicit activities. “Iran Air continues transporting troops and weapons to Syria, while remaining sanction-free and able to buy hundreds of new aircraft to bolster its terror-supporting operations,” he said. “Iran Air serves as a lifeline to the Assad Regime,” he added.